Determining Which State Has Child Custody Jurisdiction After Parents Relocate - Ward and Smith, P.A. Given the mobility of today's society, the need to determine which state has jurisdiction to hear child custody matters when parents relocate to another state has become more common. The North Carolina Uniform Child Custody Jurisdiction and Enforcement Act ("UCCJEA") governs when North Carolina has jurisdiction to decide particular child custody issues. The frequency of interstate jurisdictional issues in child custody litigation has increased dramatically over the last two decades. This may be due in part to society's increased mobility, but this trend may also be due to economic conditions that result in a forced out‑of‑state relocation in order for one parent to maintain or re-establish employment. In an effort to address these jurisdictional issues (by jurisdictional issues, I simply mean a determination as to which state's courts may decide a particular child custody issue) and also in order to avoid relitigation of custody issues (for example, one parent does not like the custody decision in state A, so that parent moves the children to state B and "retries" custody), all 50 states and the District of Columbia have adopted uniform child custody laws. Of course, "uniform" does not really mean "uniform" because many states have taken the "uniform" law and modified it slightly. Given the states' proclivity to "tweak" the uniform laws, the term "model" laws would be more appropriate. In North Carolina, the current uniform law is known as the Uniform Child Custody Jurisdiction and Enforcement Act ("UCCJEA"). One of the basic tenets of the UCCJEA is the establishment of jurisdiction based upon the "home state" concept. In other words, the state that is the child's "home state" has jurisdiction to make an initial custody determination. "Home state" is defined under North Carolina law as the state in which a child lived with a parent or a person acting as a parent for at least six consecutive months immediately before the commencement of the child custody proceeding, provided at least one parent or a person acting as a parent remains a resident of that state. In the case of a child less than six months of age, the "home state" is a state in which the child lived from birth with a parent or a person acting as a parent. Johnny is a seven-year-old child. For the last five years, he has lived in North Carolina with both parents. Mom and Dad separate. Mom and Johnny move to South Carolina, but Dad remains in North Carolina. Within days after moving to South Carolina, Mom starts a child custody action in South Carolina. In this example, South Carolina is not Johnny's "home state"; rather, North Carolina is Johnny's home state. Therefore, North Carolina, not South Carolina, has jurisdiction of the child custody issues. Another important concept of the UCCJEA involves a state's continuing jurisdiction over the child. A state that properly exercised jurisdiction and entered a child custody order maintains exclusive continuing jurisdiction over that child unless the child and the parents or persons acting as parents no longer reside in that state. Thus, under normal circumstances, North Carolina may not modify a custody decree from another state unless the other state has lost jurisdiction or has refused to exercise it. That is not to say, however, that North Carolina cannot enforce the terms of another state's order. Moreover, an exception to the prohibition against modifying another state's order exists in the event of an emergency situation which requires court intervention (an emergency custody order) to protect a child. In those situations, a state which ordinarily would not have jurisdiction to modify a custody order may do so on an emergency basis, but the matter is quickly transferred back to the child's home state for further proceedings. If you find yourself in a "relocation" situation, you should consult with an experienced family law attorney right away. Perhaps one of the worst things a parent can do is to simply pick up and move with the children, giving the other parent little or no notice of the move. In that situation, the relocating parent may be the recipient of an order directing the immediate return of the children to North Carolina or, even worse, an order immediately transferring custody of the children to the other parent. What do North Carolina courts consider in the situation where there is a custody order in place and the primary physical custodial parent wants to move out of the area? In these situations, North Carolina courts apply the "best interest of the child" analysis in determining whether to allow the custodial parent to move with the children. 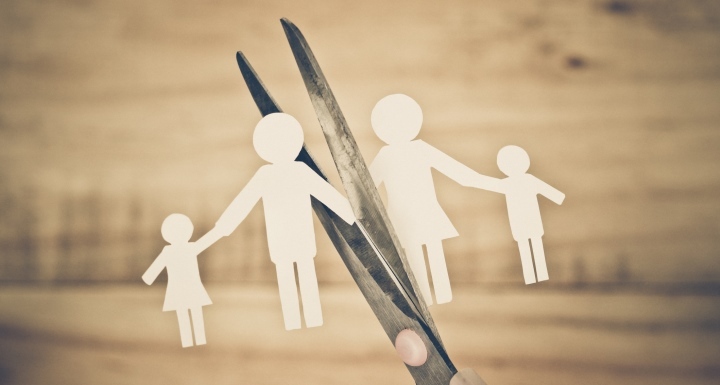 The courts consider the reason for the custodial parent's move, the age of the children, the frequency of contact between the non-primary custodial parent and the children, and the impact the move would have on existing visitation. However, extensive and costly litigation can be avoided. The parents, and especially the child, benefit when both parents realize the need for the primary physical custodial parent to relocate and both parents work together in order to establish the very best visitation arrangement for the child. This often means, particularly in the case of a long distance move, an arrangement where the non‑primary custodial parent enjoys significant blocks of visitation with the child that correspond with the child's school schedules. While long distance arrangements are not ideal, over the years I have seen them work very well. Remember, even if you are able to work out such a visitation arrangement with the other parent, you should take steps to formalize this arrangement. A court order is the best possible method to formalize parents' child custody arrangements.